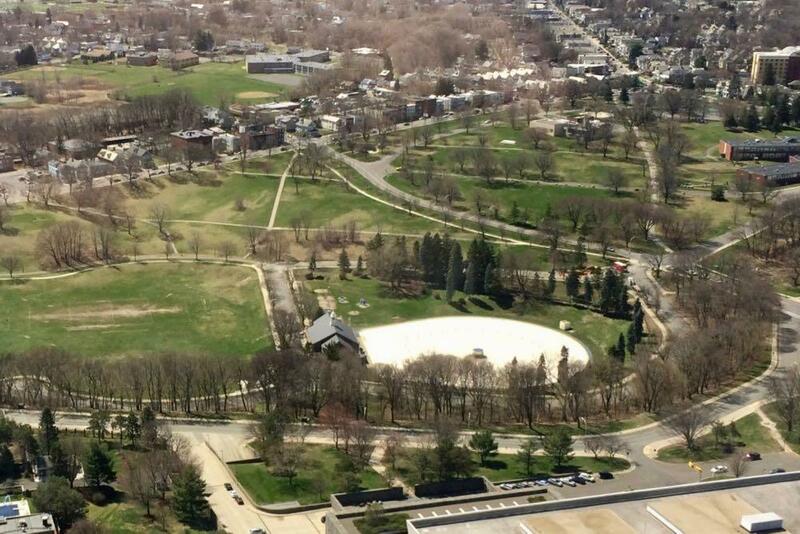 What should be the future of Albany's Lincoln Park? Mayor Kathy Sheehan, the City of Albany Department of Planning & Development, and STIMSON Studio Landscape Architects will host a public meeting to provide an overview and receive community input regarding the Lincoln Park Master Plan design project. This is an exciting opportunity for residents, visitors, and community organizations to learn about the original design intent of Lincoln Park, take part in shaping its future, and help to prioritize projects and initiatives within the Park. The meeting is Tuesday, October 9 at 6:30 pm at Hackett Middle School (45 Delaware Ave). If you can't make it to the meeting and want to offer a comment -- or just feel comfortable submitting a prepared statement -- there's ran online comment form. + The Albany Water Department is planning the Beaver Creek Clean River Project, a sewer facility that's part of an effort to reduce sewage overflows in the Hudson River. The largely underground facility would also add some park amenities and address a longstanding problem with a sewer line and a ravine. + The Lincoln Park Pool is leaking huge amounts of water and has probably reached the end of its life. The city needs map out a plan for the next version of the pool. So there's a lot to talk about. * Washington Park is a little more than 80 acres. Congratulations to albanyweblog.com for being a local independent media voice (like AOA) for the victory. He has been discussing the sewage in the beaverkill for years now. This remediation would not be happening were it not for one dedicated individual. And his being able to broadcast ideas through the internet to reach the people without the usual corporate media filters. Yes the money is from the pool of upper Hudson river communities, But our local politicians have known about this for a long time and conveniently ignored it because it only affected poor people in the South End. Independent media is the answer through community broadband.